We’ve been getting loads of great test-reviews in leading outdoor magazines and blogs. Here’s some background info on why our Source Hydration Systems are “Best in Test” in the UK Trail Magazine and why the US Backpacker Magazine calls our reservoir the “better bladder”. 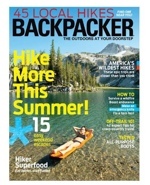 For the latest issue of the U.S. Backpacker Magazine the tester kept fresh water in our Source WLP for eight (8!) weeks and confirmed: the water still tasted like fresh water. This Source advantage is owed to our unique TasteFree™ System. What is the Source TasteFree™ System all about? 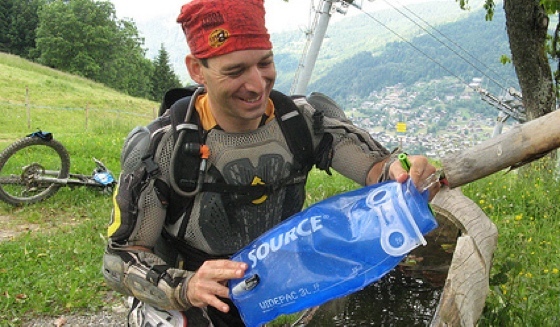 One of the reasons Source bladders provide healthier and tastier hydration: we’re the only ones using PE (Polyethylene) film for the reservoirs. A material that offers plenty advantages by itself. Additionally, due to our GlassLike™ Film Technology, our reservoir is too smooth for bio-film to build up (see blog post: Source 2,000% smoother). Thanks to this smooth surface all our reservoirs are practically self-cleaning. There are no residues. Thanks to our GrungeGuard™ technology the anti-microbial agent is embedded in the actual film of the bladder. It’s not just a coating! That makes a world of difference: the protection does not wear off with time – making the bladder long-lasting and practically care-free. Easy handling and care: It’s the original Widepac! Last but not least: Testers and users all love the easy handling of our bladders. Amongst other details, we invented the original Widepac opening – Source reservoirs opening wide like a paper bag. A feature that others have tried to copy. The original Widepac opening allows easy access for filling, emptying and drying. Closing the bladder with the patented Source Wideslide is fast and easy. The Widepac opening, the Wideslide (patented), the Quick Connect, the Universal Tube Adaptor (patented), the Convertube: All these and many more products and features were invented by Source. Try us! Here’s our full selection of Source Hydration Systems to order online. Free worldwide shipping included (from $50 USD). Read more about our technology on our Source Hydration Technology Page and discover the full range of our SOURCE Hydration Systems, Reservoirs and Bladders.